Back in May two of our Creative Friends launched a successful companion project. Well they have gone back to the drawing board to create something new and truly whimsical. 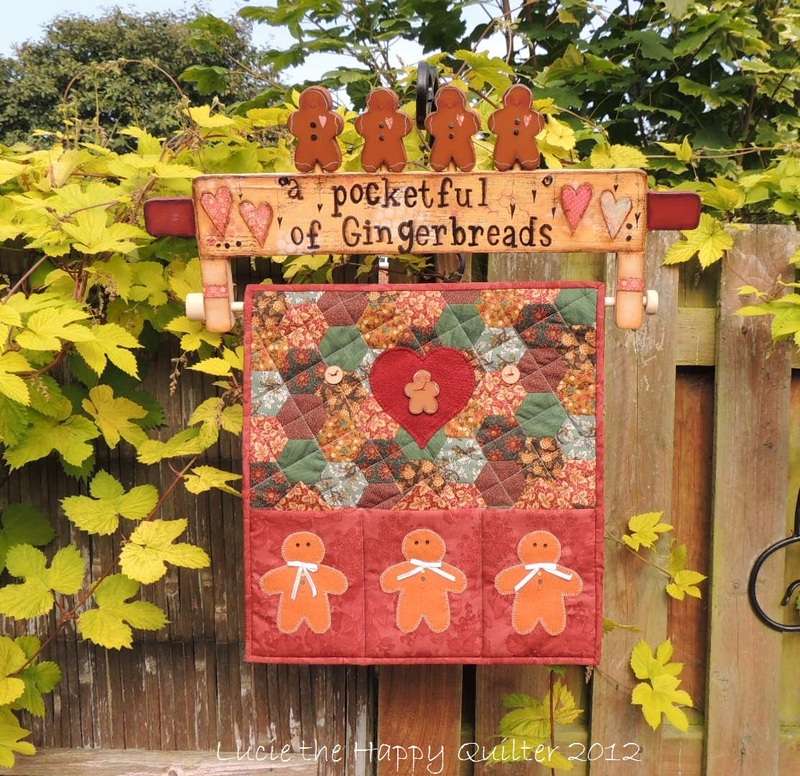 This time Sandra of The Crafts House has designed the most whimsical of hangers called A Pocketful of Gingerbreads for a quilted Gingerbread Pockets designed by Lucie the Happy Quilter. The two projects look fantastic paired up together. So now, as of today, you can purchase the pattern for the quilted Gingerbread Pockets and you can make the Pocketful of Gingerbreads hanger at The Crafts House with the guidance of the very talented Sandra in her wonderful treasure trove of a studio. You can find more info about the Pocketful of Gingerbreads hanger here and more info about the quilted Gingerbread Pockets by clicking here. Sandra and Lucie have worked hard to bring this project together and have had plenty of laughs along the way. This companion project is the perfect gift for a special someone. Categories: Companion Projects, Decorative Painting, Patchwork & Quilting, Small Sewing Projects | Tags: A Pocketful of Gingerbreads, Companion Projects, Creative Friends, Gingerbread Pockets, Lucie the Happy Quilter, The Crafts House | Permalink. Congratulations ladies you will be receiving one Owl Kit and one Owl Block Keeper Pattern each. Please email your postal addresses to lucie@mapleleafquilters.co.uk so that your parcel can be posted off as soon as possible. The Creative Friends look forward to releasing other projects sometime soon. So please keep checking for new and interesting projects. Categories: Companion Projects, Decorative Painting, Patchwork & Quilting | Tags: Companion Projects, Creative Friends | Permalink.